selena and miley with out make up. . Wallpaper and background images in the Miley Cyrus vs. Selena Gomez club tagged: selena miley. Everybody looks awkward without makeup! 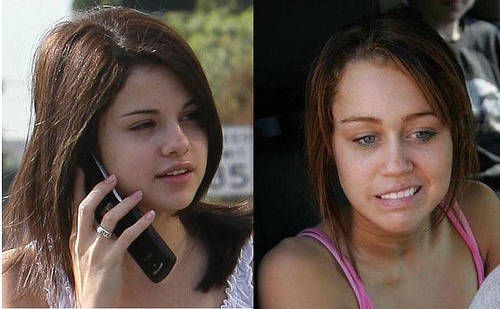 Selena looks better because she is not doing a creppy face, but miley is prettier!